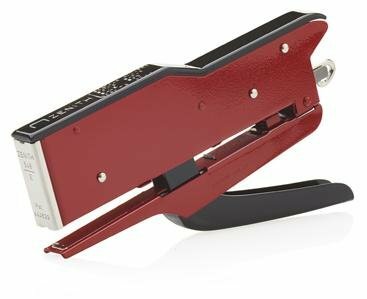 This tools unusually small head and deep set fulcrum point permits this plier stapler to easily perform hundreds of difficult-to-get-to jobs with a small inconspicuous staple. This stapling plier has a non-adjustable anvil. Packaged with a supply of 1,000 staples.